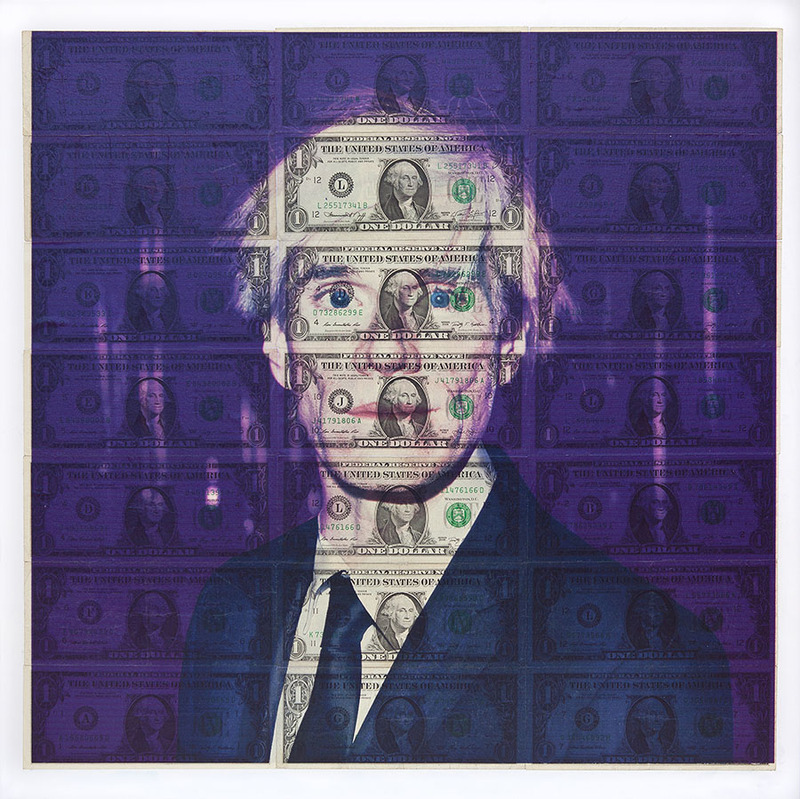 ArtCurrency is a series of artworks that investigates the connection, sometimes degrading and sometimes stimulating, between Art and Money. 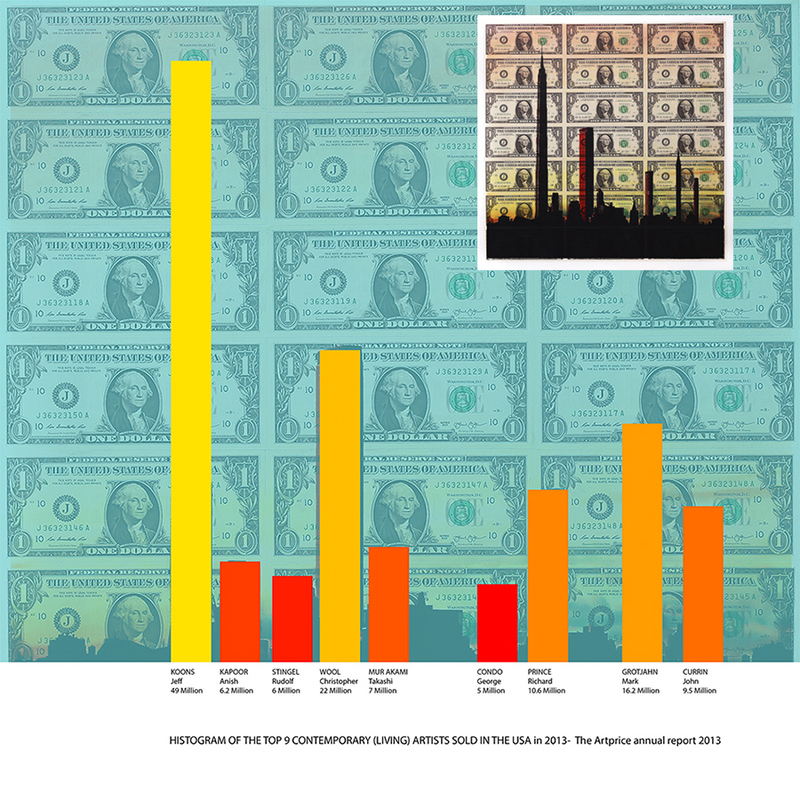 As money currently enjoys unprecedented power over us, it also dominates art and creativity, which have become deeply integrated into capitalism. 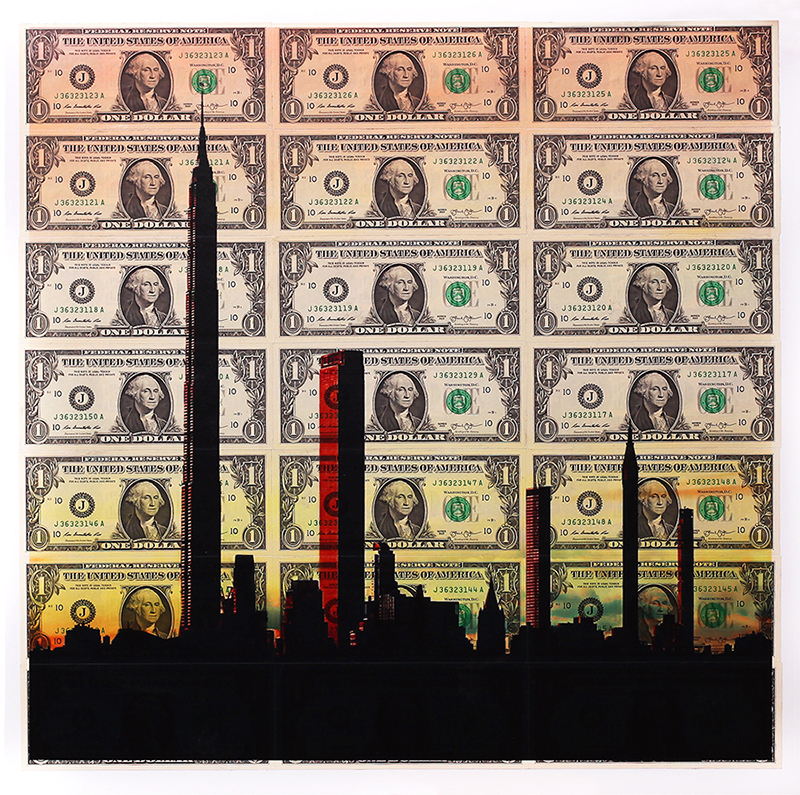 The series ArtCurrency depicts symbolic images printed with UV print technology directly on real banknotes. 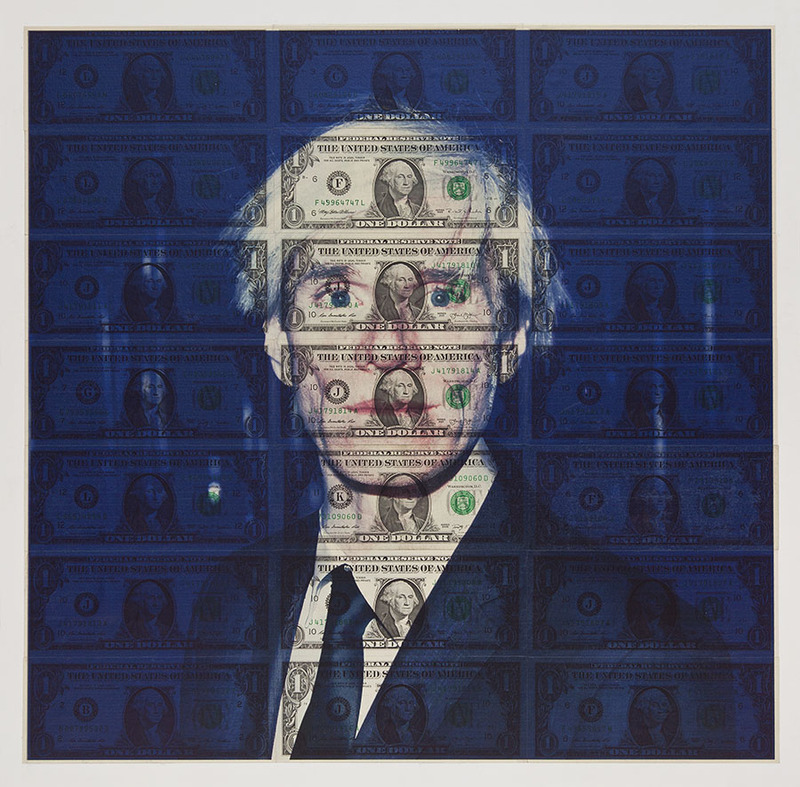 The images result as imprisoned in the texture of the banknotes. 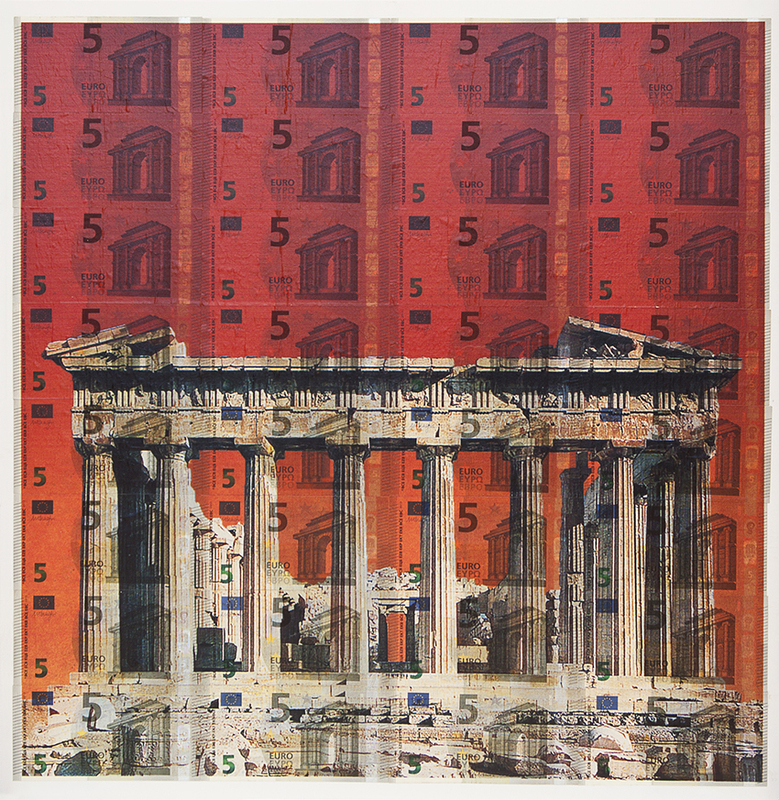 The series goes from the controversial relationship between artists such as Andy Warhol, Damien Hirst and the art market to historical monuments such as Parthenon, symbol of our history at the mercy of financial crisis.